This photo shows all that remains today of the Clyde to Sodus Point Canal. It was taken on West Kelsey Road 2 miles north of Clyde. Tucked fairly far back in the regional section of the June 19, 1960 issue of the Rochester DEMOCRAT & CHRONICLE was an article bearing the headline, “State Rules Out Idea of Sodus Bay to Seneca Lake Canal”. It seems that an Elmira resident, Howard D. Goff, had written to then Governor Nelson Rockefeller to urge his support of what Goff obviously considered a viable proposal: construction of a ship canal linking Sodus Bay (and Lake Ontario) with Seneca Lake. Mr. Goff envisioned the canal as an aid to industry “in the event a steel plant should be located in the Elmira area.” He suggested that the waterway would function primarily as a means of shipping iron ore from Canada to Watkins Glen, where it would then be shipped overland to Elmira. In responding to Goff’s proposal, the Governor’s secretary, Dr. William J. Ronan, noted that “any such project would have to be justified on a cost-benefit basis”. He went on to cite a number of reasons why the Governor’s staff was rejecting the plan but the bottom line was that “since the steel industry (had) not made any concrete proposals for a plant in this area, it (was) rather difficult to develop exact figures on which to base a conclusion”. “Thanks, but no thanks,” said the Governor’s office, politely putting an end to Mr. Geoff’s dream. I wonder if Goff realized that he was not the first to envision this canal or that more than a century earlier an enterprising group of people had not only proposed just such a waterway but had ‘done their homework’ much more thoroughly than Goff seems to have done. I wonder if the Governor’s staff knew that a portion of that canal had actually been dug all those years ago. The newspaper article offers no clue. 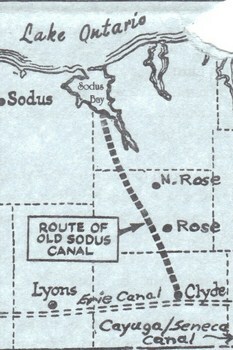 The idea of connecting Lake Ontario at Sodus Bay with the Erie Canal at Clyde dates back to 1827, during a period of “canal fever” (Cowles 71) spawned by the tremendous success of the Erie Canal, which was completed in 1825. Certain local interests convinced the state to make a preliminary survey but a state appropriation for the project was blocked by other interests (with perhaps more financial or political clout) favoring the Oswego Canal (which was, in fact built). Nonetheless, in 1829 the Sodus Canal Company was incorporated with a $200,000 capitalization and granted a state charter (apparently the state considered the canal a good idea as long as it didn’t have to pay for it!). The charter authorized the company to construct a canal from the Canandaigua Outlet or Seneca River, “where the Erie Canal crosses said streams, near Montezuma, to such convenient place on Great Sodus Bay as is accessible to vessels navigating Lake Ontario” (Cowles 71). The goal was to open a waterway from Lake Ontarlo to the head of Cayuga Lake, at Ithaca (more about the Ithacans later). Commissioners of the Sodus Canal Company (among them John Greig, Joseph Fellows and Dr. William N. Lummis) hired engineer William Campbell of Cherry Valley to survey the route of the proposed canal and then yet another engineer, one J. G. Swift, to verify the work of Mr. Campbell (although I’m not sure why). In October of 1831, Swift submitted his report. Campbell had estimated the cost, including 5 per cent for contingencies, (at) $180,640 & 10 cents” and Swift agreed that the waterway could be built for a reasonable amount (“Remarks” 8). Stock subscriptions were offered, first in Geneva and later in New York City. The proposed waterway was to be about 24 miles in length, but “part of that being a natural channel,” there would be fewer than 20 miles of actual excavation. A fall of 130 feet from the Erie Canal at Clyde to Sodus Bay would have to be overcome by means of locks or “inclined planes” (Remarks 8,9). Within about three miles of Sodus Bay the company planned to construct two locks “at the foot of a capacious natural reservoir of water covering full 70 acres of land, . . . where (there would) be two valuable mill seats” (“Remarks” 9). 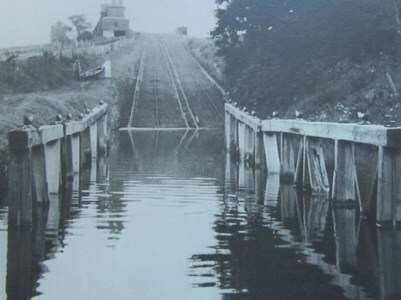 Each lock would drop the level eight feet; the remaining fall of 114 feet would be overcome about a half mile from the Bay. According to the commissioners’ calculations, power created by this last fall would “prove nearly equal to what (might) be required to drive 200 pair of mill- stones – presenting at this place ample power for the most extensive manufacturing operations. Here the manufacturer (might) select a site to his fancy, with advantages perhaps, all things considered, no where exceeded in America” (Remarks, 10). The commissioners viewed the Canal as a potential gold mine (and with good reason) which not only would pay for itself but would also make a handsome profit for its stockholders. One of the most obvious benefits would be to provide mills near Sodus Bay. As Mr. Swift noted in his reports, although the area around the bay was a “good wheat, grass and fruit region” which also produced iron, salt and lumber, as well as “Fish from its waters”, it was “very deficient in an important point, namely, Mill privileges. He went on to observe that the thousands of acres of wheat land that could “be improved within 10 miles of Sodus Bay and Canal” would yield “1,000,000 bushels of wheat annually, or 200,000 barrels of flour, manufactured at the Sodus Canal mills, and thence conveyed to market; the transport of which, at three cents per ton per mile, would yield six per cent per annum on the whole capital involved in the construction of the Canal.” Swift estimated that the toll levied on other products (salt, iron, lime, brick, lumber, etc.) would yield nine per cent annum upon the same capital” (“Remarks” 19,20). In addition to revenue from tolls, the proposed canal offered another source of income: the sale or rental of water power. Swift estimated the yield on this at five per cent per year “in perpetuity” (“Remarks” 20). The commissioners of the company recognized that the canal would open “the shortest possible water access from our principal cities, and the coal mines of Pennsylvania, to our great lakes, at their best harbor”. Further, it would connect with this harbor the most fertile and populous portion of the state” and provide the nearest possible water communication for the produce, trade, and wealth of our inland seas, and the extensive countries adjacent, to our own cities and the Atlantic.” Finally, there were “great local benefits which must supervene from the use of water power at the bay, and the full development of the resources of the place by an intelligent, prosperous and enterprising people” (“Remarks” 15 16). By 1856, the canal appeared to be pretty ‘sure thing’ – or as much of a ‘sure thing’ as it could be at that stage. Even though it was far from a reality at the time, the Shakers were so convinced that it would eventually be built that they sold their property (the proposed canal would cross it) and moved to Sonyea (Merrill, THE RIDGE 19). Meanwhile, at the other end of the canal’s projected route, Ithacans were positively brimming over with enthusiasm! Public speakers were eloquent in their praise of the proposed waterway, inspiring “visions of future commercial greatness for the little village at the head of the lake, as well as for the less important trade centers of Wayne County” (Cowles 72). Deep water ships would carry the raw materials of the Midwest through the Great Lakes and the Sodus Bay Canal to Ithaca, “where local mills would grind the grain and finish the lumber, local factories would smelt western iron, and local tanneries would prepare frontier skins for merchandising purposes” (Abt 59). In late 1836 and early 1837, land in Ithaca “rose in price from twice to ten times its former value” (Abt 64), so convinced were the people that the canal would be completed at an early date. The Ithaca JOURNAL of January 11, 1837 “announced that 1,400 acres of land had been purchased for a terminal at Sodus Bay – and that all the stock in the company had been subscribed for. The article said: ‘We are glad to state that effective measures have been taken for the speedy and substantial completion of this important work” (Abt 64). In February of the same year the long-awaited announcement was made: digging was to begin immediately on the first six miles of the canal! 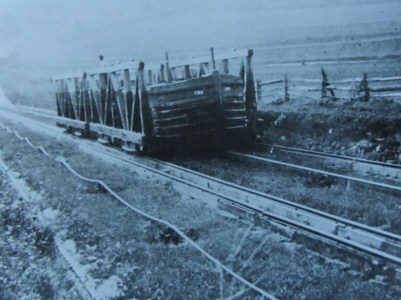 It was confidently predicted that boats would be able to make the trip from Ithaca to Lake Ontario in just seven or eight hours once the canal was completed. Furthermore, when the proposed system of railroads was constructed, Ithaca was expected to become a “commercial depot for northern and western trades” beyond compare and above any competition (Abt 65). Alas, as Robert Burns observed, “The best laid schemes o’ mice and men / Gang aft a-gley.” The financial Panic of 1837 effectively put an end to the construction of the Sodus Bay Canal. It could not, however, extinguish the enthusiasm of General William H. Adams, a War of 1812 veteran and judge in Lyons, NY, who revived the project in 1841. Under his leadership, the Sodus Canal Company was reorganized and embarked upon a stock- selling campaign. 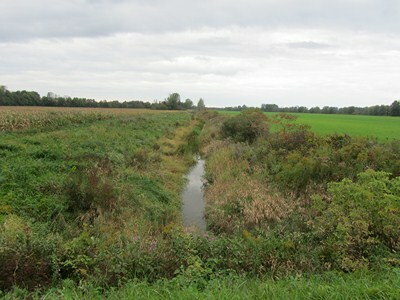 It purchased considerable acreage and caused much swamp land to be “drained and reclaimed for tillage” in the towns of Huron and Galen (Merrill, “Ditch”). In 1851, promoters of the canal wrote a prospectus (GREAT SODUS BAY AND THE SODUS CANAL) which was published the following year. At this point, nearly half of the canal remained undug and the “enterprise was heavily mortgaged. But none of these things daunted the spirit or dimmed the vision of William H. Adams” (Merrill, “Ditch”). And what a grand vision it was! As he saw it,”the wealth of the West as far back as the Mississippi, (would) be poured into Ontario, to be carried through various channels to the Great Markets. This business, with the return trade, (would) make this Lake another Mediterranean” (Adams 8). However, without money, moral support simply wasn’t enough to keep the project going. In 1861, “after repeated amendments and extensions”, the charter “expired by limitation” (Cowles 71). The following year the federal government was offered “perpetual right of transit through its waters for government vessels, free of toll” if it would supply the money needed to complete the canal. “But Uncle Sam declined the speculation and the Great Sodus Canal . . .died from lack of nutrition” (Cowles 72). In 1861, of course, ‘Uncle Sam’ had a much more pressing concern: the Civil War. Not one to give up easily, Adams was still trying to renew the Sodus Canal Company’s charter when he died in Albany in 1863. His dream died with him but not his name, as from then on the canal that never came to be was known, at least locally, as “Adams’ Ditch”. Abt, Henry Edward. Ithaca. Ithaca, NY, Ross W. Kellogg, MCMXXVI. Adams, William H. Great Sodus Bay and the Sodus Canal. Boston, Alfred Mudge, 1852. Cowles, Hon. George W. Landmarks of Wayne County New York. Syracuse, NY, D. Mason & Company, 1895. Merrill, Arch. The Ridge: Ontario’s Blossom Country. Rochester, NY, Louis Heindl & Son, 1944. (Rochester, NY), Oct. 31, 1954, Section C, p. 1. Remarks Respecting the Sodus Canal, and its Probable Immediate, and Prospective Revenue. New York: Elliott & Palmer, 1832. (Rochester, NY), June 19, 1960, Section B, p. 6. Wayne County Whig, January 15, 1851.